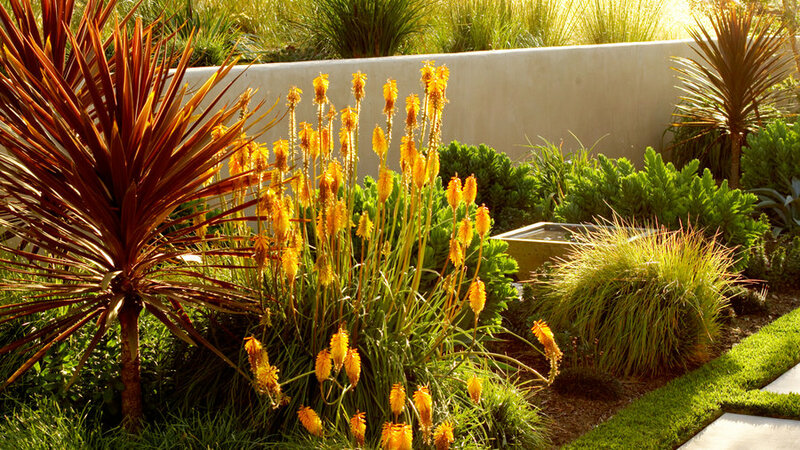 Homeowners Jim and Jamie deYong chose to mimic the golden hills surrounding their San Luis Obispo home with sunny hues in their garden. A half-dozen species of ornamental grasses grow in neat rows near the perimeter of the garden, tying it to neighboring vineyards. In the front and back courtyards, carex and other short grasses continue the theme, while fiery foliage and flowers add to the autumnal mood. We've made a guide with the right plants and methods to help you recreate this color scheme in your own yard. 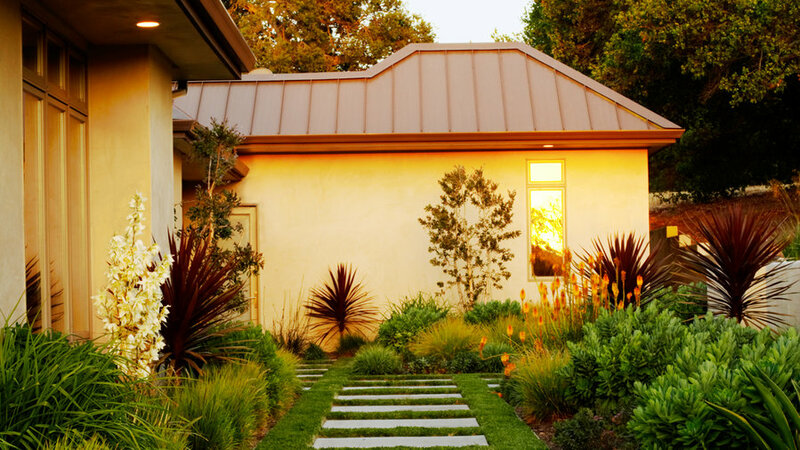 Follow this simple formula to produce striking results in any garden, even without the golden hills nearby. Plant torch lily beside a red cordyline to make its orange flower clusters really pop. Fill in around both with low mounding grasses, such as Carex glauca, and perennials like Sedum ‘Autumn Joy’. 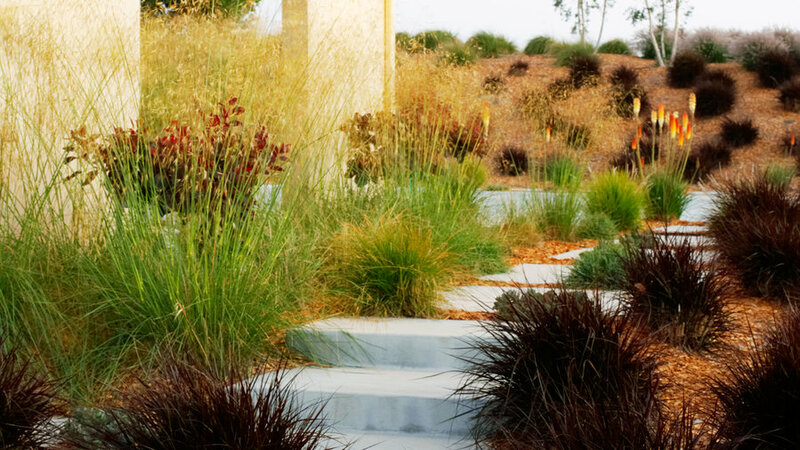 Add a row of Stipa gigantea, like the ones behind the wall, as a backdrop; if possible, position these grasses where the sun can backlight them for part of the day. Purple fountain grass (Pennisetum setaceum ‘Rubrum’) clusters around a path, while two reddish brown smoke trees draw your eye through golden clouds of flowering Stipa gigantea. Space ornamental grasses far enough apart so that, after they mature, they can move gracefully in the wind. A single well-placed variegated plant can lend a glow to a garden bed. 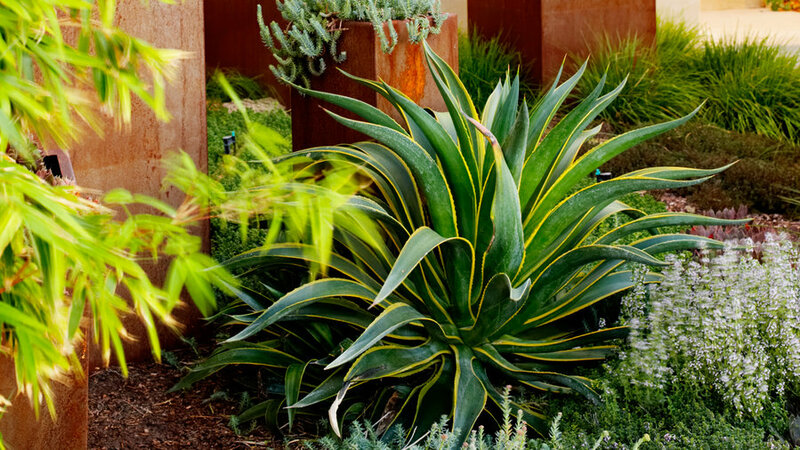 Agave desmettiana ‘Variegata’ fills that role here; it rises above a sea of creeping carex, sedums, and thyme. For more burnish, add copper-toned planters such as these rusted steel cubes. 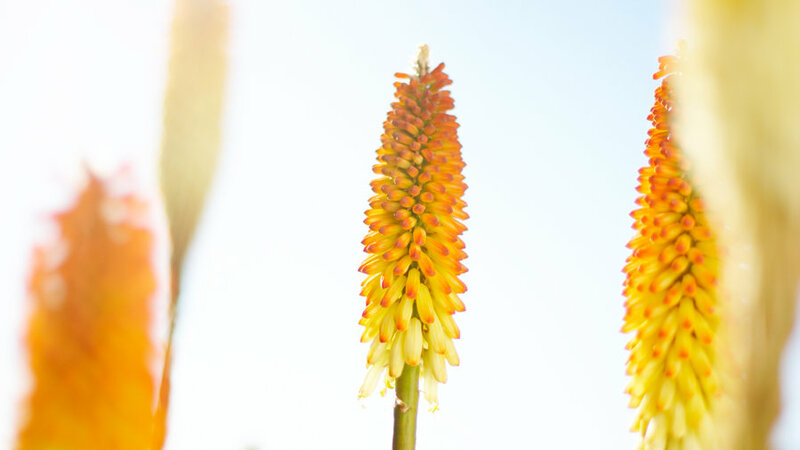 Torch lily (Kniphofia uvaria). Orange or yellow flower clusters emerge from grassy clumps. 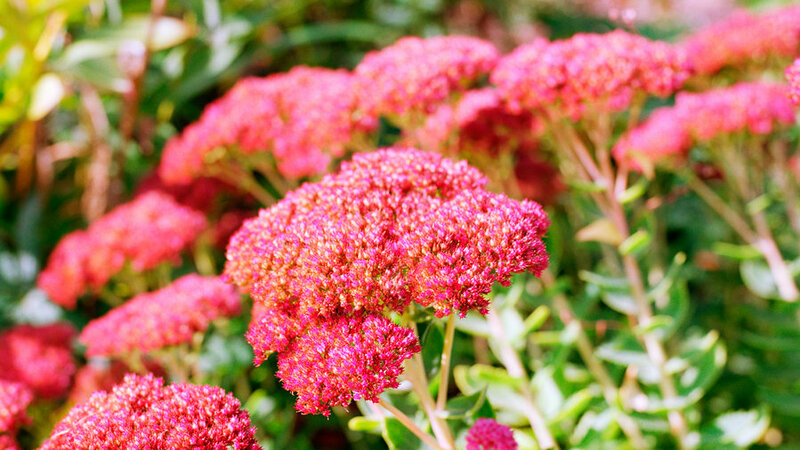 Sedum ‘Autumn Joy’. Dense flower clusters start out blush pink, then age to rust as the weather cools. Fountain grass (Pennisetum orientale). 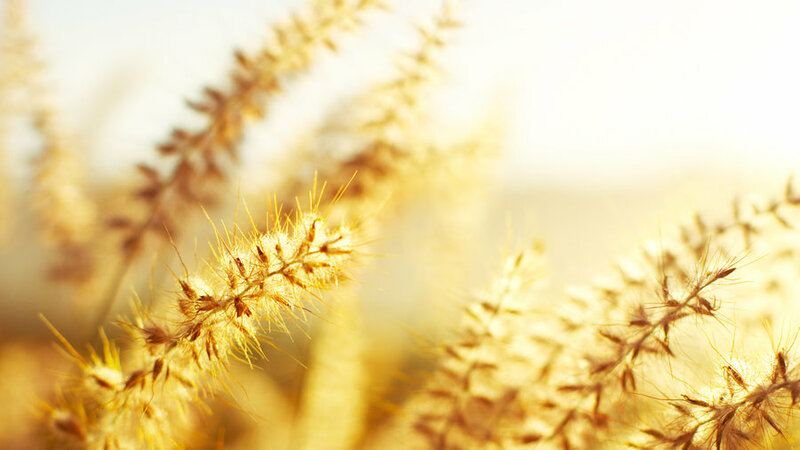 Foxtail-like plumes emerge from 2-foot-tall mounds of gray-green foliage, then fade to golden brown. 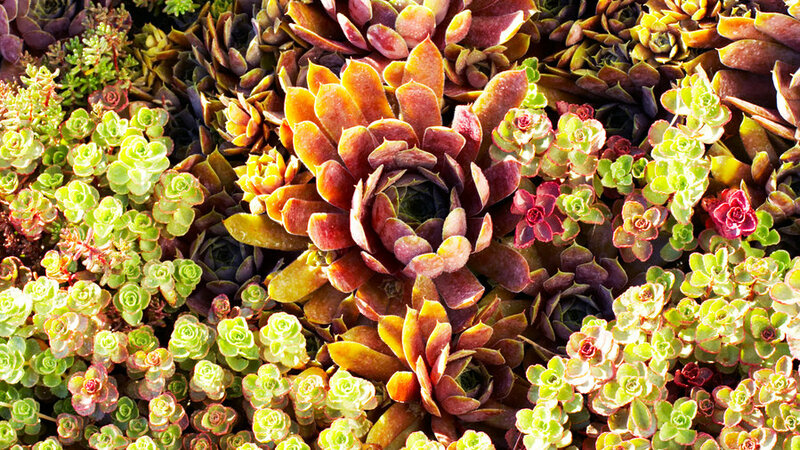 Hen and chickens (Sempervivum tectorum). Rosettes of fleshy bronze leaves hug the ground beside smaller Sedum spurium ‘Dragon’s Blood’. 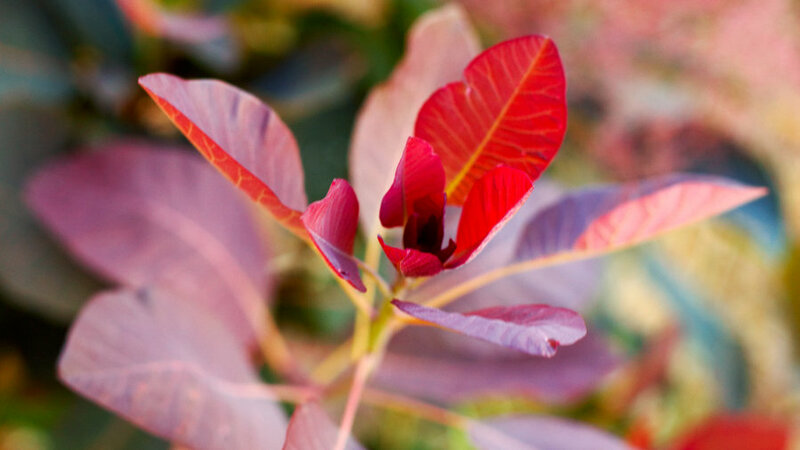 Smoke tree (Cotinus coggygria ‘Royal Purple’). Deciduous shrub with purple foliage turns more burnished in fall; flowers resemble puffs of smoke.